to compete in an arena with an audience made up of sports & fitness industry executives. The industry knows that for consumers to be physically fit, the industry must be financially fit. This means the industry must always be innovating. Is your product just the sort of positive disruptor these industry leaders are looking to get behind with their influence and support? and be a part of the growing $120M+ story during the Sports & Fitness Industry Association's Industry Leaders Summit September 26-27 at The Brown Palace Hotel & Spa in Denver, Co.
to an esteemed panel of judges made up of sports & fitness executives, venture capitalists and leaders from private equity. before and after competing in the Start-Up Challenge. Finalists will get to participate in leadership discussions and network at cocktail receptions and over meals during the Industry Leaders Summit. $15,000 in cash from Venture Capital Firm Black Lab Sports and an all-expense paid trip to spend a day with the Innovation Team at the Under Armour world headquarters in Baltimore, Maryland. SFIA will coordinate and provide flight, hotel accomadations, and introductions to key executives. Chris earned his MBA from Northwestern University's Kellogg School of Management and received his baccalaureate degree from San Diego State University. He also attended Newman University in Wichita, Kansas, where he was an Academic All-American in baseball and is a two-time member of its athletic hall of fame. Before joining the fitness industry, he was a professional athlete, playing for the minor-league organizations of both the Houston Astros and Atlanta Braves. Lorin joined Under Armour in 2011 to manage the grand opening of the state of the art Innovation Lab. While acting as legal liaison for the Innovation team, Lorin’s role quickly grew to include business development and strategic alliances. As part of the Innovation Partnerships team, Lorin now oversees Idea House, a platform which embraces the entrepreneurial spirit on which UA was founded; and Future Show, historically a showcase of the best ideas and concepts submitted through Idea House featuring an in-house trade show exhibition, in which Under Armour employees voted on their favorite products and innovations and the winner pitched to a team of top UA executives for a chance to develop their concept or product to commercialization through UA. Taking into account the stellar growth of UA, the platform has been completely revamped and streamlined to ensure UA is the first to see the very latest concepts and products, directly aligning with the specific needs of all athletes. She recently worked on Cupid’s Cup, a young entrepreneur competition formed by Kevin Plank in conjunction with the Smith School of Business at the University of Maryland that is currently expanding into other partner schools. Lorin also has a special interest in start-up accelerators, particularly those related to sports technology. Alison is a Managing Director with more than 18 years of consumer private equity investment experience. Since joining North Castle in 2001, she has actively managed the firm’s investments across a variety of Healthy, Active, and Sustainable Living sectors. She currently serves on the Board of Directors of Full Swing, ProSupps, HydroMassage, Sprout Foods, SmartyPants, and Red Door Spas, and has previously served on the Boards of Directors of Doctor’s Best, Octane Fitness, Contigo, Ibex, Cascade Helmets, Atkins/Bora-Bora Organic Foods, and Avalon. In addition, she was actively involved in our investments in Naked Juice and Leiner Health Products. Prior to joining North Castle, Alison worked at Evolution Global Partners, an investment firm sponsored by Texas Pacific Group, Kleiner Perkins, and Bain & Company. Prior to Evolution, she worked in the Insurance and Leveraged Finance groups of Donaldson, Lufkin & Jenrette, where she executed restructurings, financed leveraged buyout transactions, and provided advisory services for financial sponsors. Alison also serves as a member of the board of the New Canaan Soccer Association and the New Canaan Lacrosse Association. Alison also serves on the Women of Leadership Committee for ACG New York. She earned an A.B. in Economics from Princeton University. Mike has been President and Chief Executive Officer of Rawlings Sporting Goods since February, 2015. Prior to joining Rawlings, Mike held a series of senior management roles with increasing responsibility over a 20-plus year career at Easton-Bell Sports, Inc., culminating in the role as President, Easton Sports. Mike is a proven executive with a consistent track record of delivering top line and bottom line growth in a variety of sports related businesses. He has an in-depth background related to product innovation, investing in new products and product technology supported by innovative marketing programs, and he possesses strong and credible retail and industry experience with contacts across amateur and professional sports. Importantly, Mike also brings a solid reputation for building strong, cohesive, and dynamic teams. A graduate of the University of California at Berkeley, Mike along with his wife Dianna, relocated to St. Louis from Southern California. They have twin daughters who are both in college. Keith is the Founder and Managing Partner of KB Partners and has a diverse background in start-up companies, real estate and other entrepreneurial ventures. Keith has been a very "hands on" venture capital and angel investor in a wide variety of industries, including the medical, semiconductor, internet, telecom, software, cable TV, sports and golf, consumer and retail, and social media arenas. He currently serves as Chairman of the Board of Directors of SteadyMed, Ltd. (NASDAQ:STDY), Versatile Sports Partners and Club Champion Golf and holds multiple other board seats. Prior to forming the KB Partners venture funds, Mr. Bank co-founded and served on the Board and as President of MST Analytics, Inc., a semi-conductor product and services business which was successfully sold to ATMI, Inc., a public company, in 1999. Matthew is a Managing Director within Baird’s Consumer & Retail Investment Banking practice where he advises on equity offerings, mergers and acquisitions and other financial advisory services with a focus on the apparel and footwear, sporting goods and fitness, health and wellness, and outdoor recreation sectors. Prior to joining Baird, Matthew was a Senior Associate in Merrill Lynch’s Mergers & Acquisitions Investment Banking practice. Previously he was an Associate in Citigroup’s Equity Research practice and a Manager in Ernst & Young’s Transaction Advisory Services practice where he performed M&A due diligence, restructuring and valuation assignments. Matthew received an M.B.A from the Kellogg School of Management at Northwestern University with distinctions and a B.S. in accounting and marketing with high honors from the University of North Carolina at Chapel Hill. He is a Chartered Financial Analyst charterholder through the CFA Institute and a recipient of the SGB 40 Under 40 award sponsored by SportsOneSource Group. Dan joined BRG Sports in 2001 and has held a number of leadership roles at both the brand and corporate level. Most recently, he served as Executive Vice President of BRG Sports, member of the BRG Sports Board of Directors, and President of Riddell. As a BRG Sports executive, Mr. Arment played a key role in several recent transactions including the divesture of the company’s Action Sports business. Promoted to President of Riddell in June 2008, Mr. Arment has guided Riddell to unprecedented financial growth and continued market share gains. Under Mr. Arment’s leadership, Riddell has diversified its business with the development of a direct-to-consumer and e-commerce offering, expanded apparel product line, and introduction of new head impact monitoring technologies. He continues to be responsible for expanding the brand’s footprint in the sporting goods industry through its institutional sales model, key partnerships, and strategic acquisitions. Mr. Arment began his career with the Company as Vice President of Sales for the Mass Cycle Division at Bell Sports and quickly elevated in the organization to General Manager. He helped build a robust business model for the bike brand despite stiff market competition and developed strong relationships with key customers. Before joining the BRG Sports family, Mr. Arment served as the vice president of national sales for the Speedo Division of the Authentic Fitness Corporation and served in broad sales and consumer marketing roles with such well-known brands as Playtex, Mennen and Revlon. Mr. Arment holds a bachelor’s degree in political science from Colgate University, where he played football all four years. Alexander holds a master’s degree in accounting and finance from the University of St. Gallen, one of the leading business schools in Europe. He is the great-grandson of Adi Dassler, the founder of Adidas, which has become one of the most valuable and highly regarded sports brands in the world. Alex gained venture experience during his graduate studies and thereafter while co-founding multiple companies to preserve his great grandfather’s legacy (Multi-Family Office, Multi-Asset Fund, Athlete Management and Advisory Concept, Hollywood movie concept etc.). Following his bloodline, Alex is passionate about sports entrepreneurship and is excited to make the ADvantage Sports Tech Fund his sole focus going forward. Through the success of the Fund, Alex aims not only to revitalize his great grandfather’s legacy, but to establish a lasting legacy of his own. 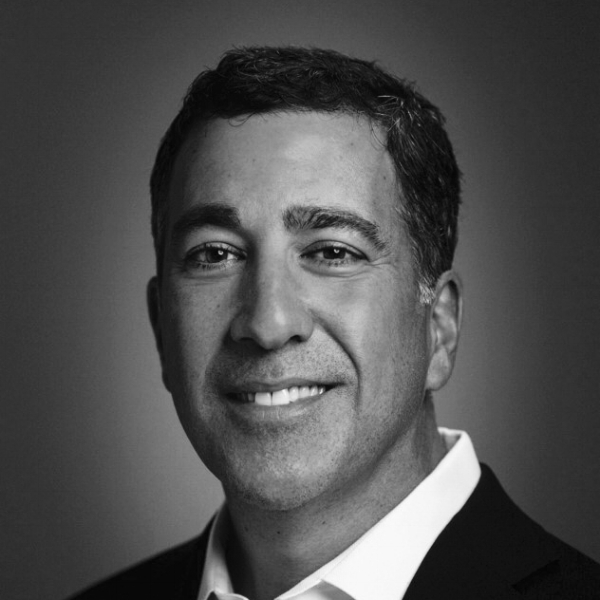 Adam currently serves as Chief Executive Officer and Board Member of Varsity Brands, Inc. He previously served as Chairman of the Board and Chief Executive Officer of BSN SPORTS, Inc. (formerly Sport Supply Group, Inc.) after serving as President of Collegiate Pacific from January 2000 to November 13, 2006. He has managed businesses in both the public and private sector. proprietary and distributed goods including yearbooks and graduation products, cheerleading camps and competitions, and sports apparel and equipment, VB serves the full spectrum of needs for the institutional marketplace. Mr. Blumenfeld earned a Bachelor of Arts from Tulane University in 1993. Julia is the Executive Director of Business Development, a retail sales and consumer expert with over 20 years of expertise in sports and outdoor recreation trends. Julia joined The NPD Group upon its 2013 acquisition of Leisure Trends Group, where she held sales and marketing leadership positions for nearly 15 years. Julia shares her expertise with clients in the leisure, sports, and outdoor recreation industries. Her unique insight into both retail sales trends and the broad leisure landscape gives clients and industry groups valuable perspective on what consumers do and buy in their free time and the motivations behind their behavior. Julia’s depth of understanding spans footwear, equipment, and apparel sales across all retail channels and covers a range of sports and recreation industries, from fly fishing and hunting to outdoor, running, cycling, paddle sports, and snow sports. She is a sought-after speaker at industry events and is frequently quoted in the media. 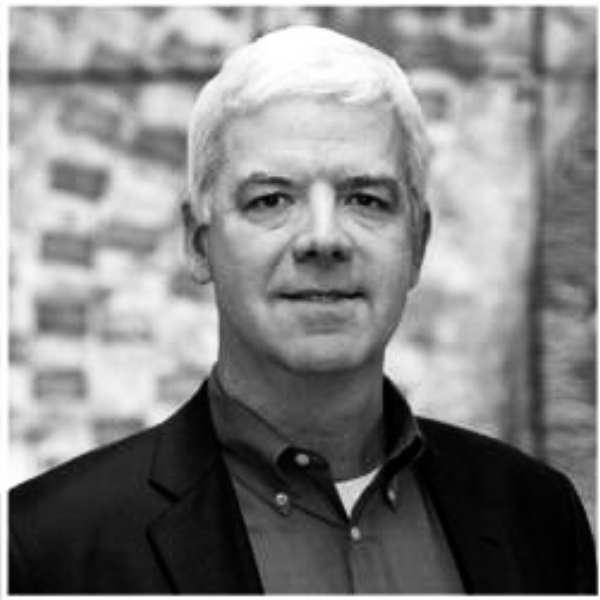 Mike has more than 25 years’ experience in entrepreneurship, business management, marketing, finance, international sourcing, volume manufacturing, and global logistics. During his career, Mike has successfully launched and grown several companies in the Health, Fitness, Wellness and Consumer Packaged Goods Industries. In his current role as CEO of Empower Fitness, Mike leads an incredibly talented organization that designs, markets, and distributes fitness and exercise products to the most important demographic in the world, women. A diverse, multi-brand product portfolio is sold to major retailers and resellers throughout the United States, Canada, Mexico and Europe. Over the past 12 Years, Fitness EM has grown from an idea to a market leader in the women’s health, fitness, and wellness channels. Mike’s latest passion and business initiative attacks the global health & obesity crisis by providing strategies, services, solutions, and technologies for families, adults, and children. Mike is a sought after speaker in the areas of business and entrepreneurship, often speaks at nationally renowned colleges & universities, and participates in multiple venture forums and MBA mentorship programs. Mike currently sits on the Sports & Fitness Industry Association (SFIA) Board of Directors, Washington DC and has been and avid supporter of the PHIT and PEP legislation currently pending in Congress. These bills push for increased funding and tax code changes that promote active lifestyle pursuits for adults and children. With a cultured and unique vision, Marco is an international person with a passion for fitness and improving wellness around the world. Marco began his career with McKinsey & Co in Italy, Netherlands, USA and then became the CCO at Carlsberg Italia. In 2006, he became President (Canada) @ Pirelli and VP Motorcycle Nafta, VP Product Development. Starting in 2016 to present day, Marco is the President of Technogym North America. Dan Sheridan joined Brooks Running in 1998 and through his career, has been critical in the continued growth of the brand. As Executive Vice President, General Manager Global Sales, Sheridan leads the development of Brooks’ wholesale and e-commerce businesses, cultivates distributor partnerships around the world, builds stronger connections with runners to fuel e-commerce and oversees execution of regional marketing programs. Prior to this role, Sheridan led sales management, e-commerce, regional marketing execution, business development and customer service in North America. He attended the University of Washington, where he earned a bachelor’s degree in sociology and an Executive Education certificate from the University of Washington’s Foster School of Business. is a highlight of the Sports & Fitness Industry Association's Industry Leaders Summit. While in Denver, finalist will get several opportunities to network with executives from the sports & fitness industry, along with leaders from venture capital and private equity. These industry leaders and potential investors will be your audience should you be selected as a finalist to compete in the challenge. Since the inaugural Start-Up Challenge in 2016, finalists have raised more than $120,000,000. ShotTracker's Founder/CEO Davyeon Ross and Co-Founder Bruce Ianni won the SFIA's 2017 Start-Up Challenge with their game-changing product helping basketball players, teams, and coaches get real-time insights on court performance. Since competing in last year's Start-Up Challenge, ShotTracker has raised more than $10,000,000 and now counts Magic Johnson, David Stern, and Ryan Howard as investors. Hookit CEO Scott Tilton took the Start-Up Challenge prize in 2016. Hookit's sponsorship analytics platform is disrupting the sponsorship marketing industry by equipping marketers and properties with actionable insights to effectively valuate partnerships. Since winning the inaugural challenge, Hookit has raised more than $16,000,000. Applications are due by Friday, July 27, 2018. 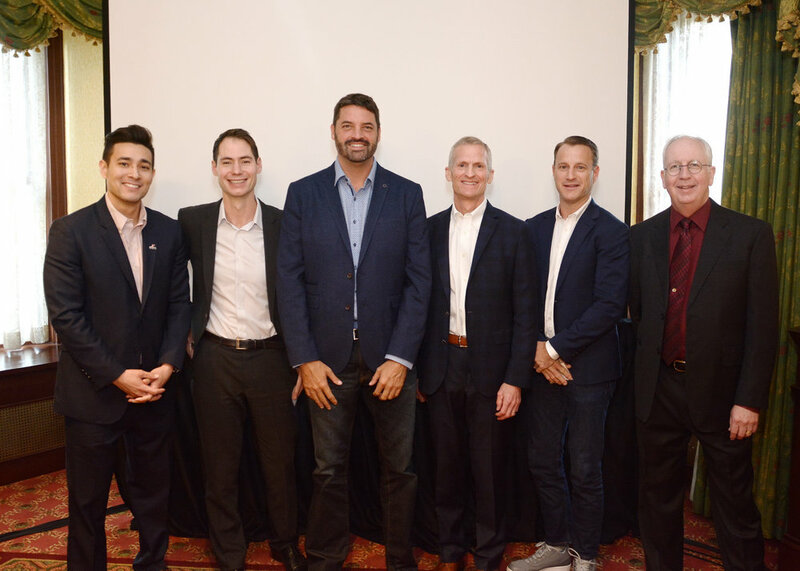 Once reviewed by our distinguished panel of experts, five finalists will be chosen to compete in Denver on Wednesday, September 26th, during the Sports & Fitness Industry Association’s Industry Leaders Summit. The five finalists will be announced in August. Should you be chosen as a finalist, you will receive an official invitation to the SFIA Start-Up Challenge, which will also include a complimentary registration for the Industry Leaders Summit (a $1,700 value). You will be responsible for travel to Denver, along with lodging and other personal accommodations. The SFIA will extend a discounted group rate to you at the host hotel, the Brown Palace Hotel and Spa. You will compete for a $15,000 cash prize from Black Lab Sports and an all-expense-paid trip to the Under Armour global headquarters in Baltimore to meet with the Under Armour Innovation Team. While at the Summit in Denver, you will have several opportunities to network with sports & fitness industry executives, other entrepreneurs and potential investors. Should you win, in addition to receiving a free year of SFIA membership, you and your company will be featured in all collateral promoting the 2019 event, as well as in general SFIA marketing and informational material. You will also be invited to speak at the 2019 Industry Leaders Summit.